Sometimes in life, you “meat” your destiny. So begins the journey of entrepreneurial artisan jerky makers, Shannon Ronan & Breelyn MacDonald—two chicks that turned a homesteader hobby into a meaty business. Theirs is a tale of how stars can align to reveal an unforeseen destiny. The story begins in Nevada City, California—a small town in the foothills of the Sierra Nevada gold country where both women grew up. Despite living two blocks from each other, attending the same high school, and having several mutual friends in common, their paths did not cross until years later while working in the restaurant business. Love ensued and they moved in together. “I was into the whole ‘homesteader’ thing,” says Shannon. “I was pickling stuff and brewing beer at home. 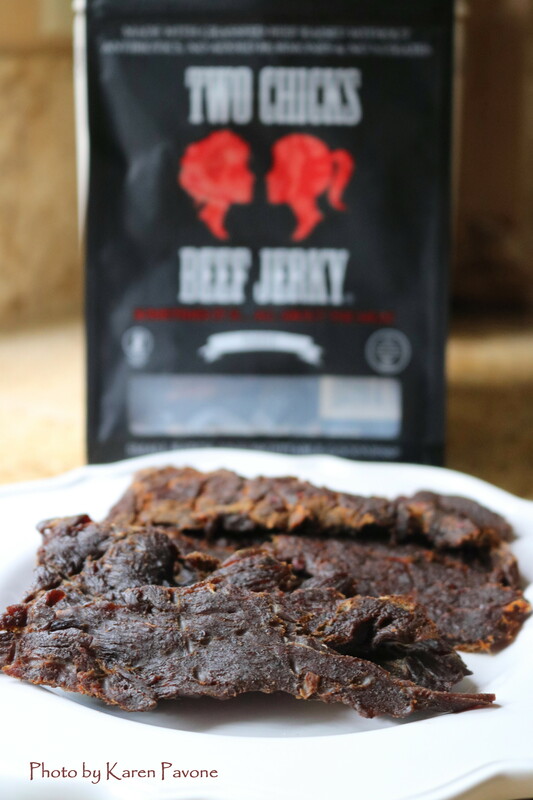 I started making homemade jerky as a healthy, portable, high protein snack to bring on hikes, because we didn’t like the other offerings out there. We wanted to know where the meat came from and how it was raised, so we started sourcing it ourselves and began testing recipes.” After several tries, they found their groove. After saving their money for two years, the pair quit their jobs and embarked on an epic five month road trip in the summer of 2012 with the intention to “eat, drink, hike and camp” their way across the country. They started a blog about their adventure, “Two Chicks & a Road Trip,” to document the journey. As they traversed the U.S., they started sharing their jerky with folks they met along the way. “The feedback was amazing!” says Shannon. Thousands of miles later, they knew they were on to something. “When we got back home,” Breelyn remembers, “people kept asking, ‘Are you still making that jerky?’ and started offering us money to make a batch.” As the requests rolled in, it became clear they had stumbled on a business in the making. Though neither chick had prior experience running a business, they jumped in and began the process of figuring it out as they went along. They found their way through the legal red tape, and eventually partnered with Sonoma County Meat Company in Santa Rosa as their manufacturer. 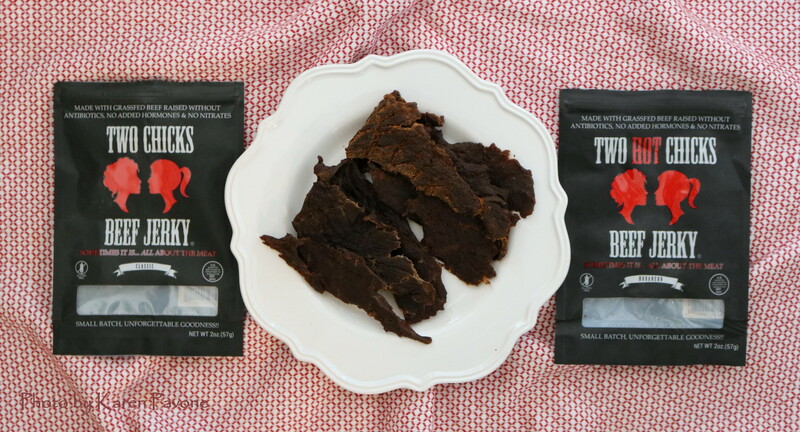 A successful Kickstarter campaign yielded more money than they asked for, and they launched Two Chicks Beef Jerky in 2015. Now, just two years later, they have doubled their gross receipts in each of those years and project similar growth in the future. But they’re not counting their chicks before they hatch. “Like any other small start up, those profits have gone right back into growing the business,” says Shannon. They attribute their success to the uncompromising quality and taste of their product, which starts with the very best ingredient: 100% grass fed and finished beef from fourth generation family owned Richards Ranch in the Eastern Sierra. “They raise their cattle free range on 6,000 acres with no hormones or antibiotics,” says Shannon. Early on, Shannon & Breelyn decided their business needed to reflect their personal values. “It was important to us to trace our product from field to table,” says Breelyn. “That’s why we use locally raised meat from cows that live good lives. 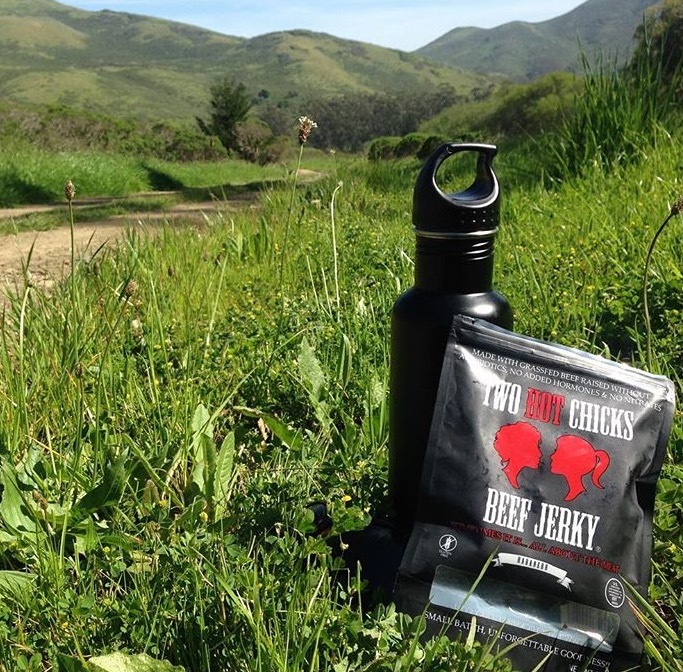 We care about sustainability, the environment, and the carbon footprint it takes to make our jerky. We hope to be a part of the nationwide movement of people who care about where their food comes from”. In response to demand, Two Chicks recently introduced their second offering: Two Hot Chicks spicy recipe, which gets its kick from habanero chilis. 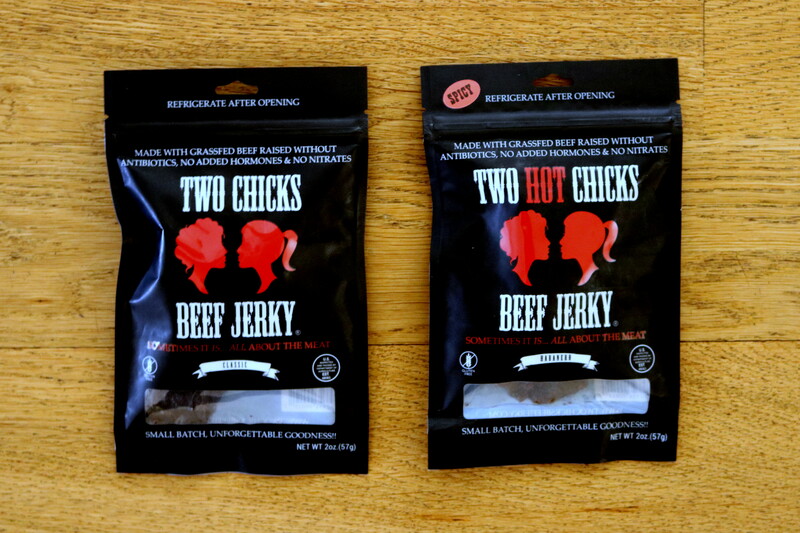 You can find Two Chicks Beef Jerky in over 30 retail locations from the Bay Area stretching south to Big Sur & east to Squaw Valley in Lake Tahoe. In their home-base Marin County, look for it in Woodlands Market, United Market, and Mollie Stones or visit their website to place an order. I love your blog and your site! I haven’t read such an informative blog in a long time. Thanks for sharing this information. I am waiting for your next blog! I will pick up a supply for my brother in the UK. He loves jerky. The hotter the better. Then be sure to get their Two HOT Chicks jerky, Penny. He’ll love it! 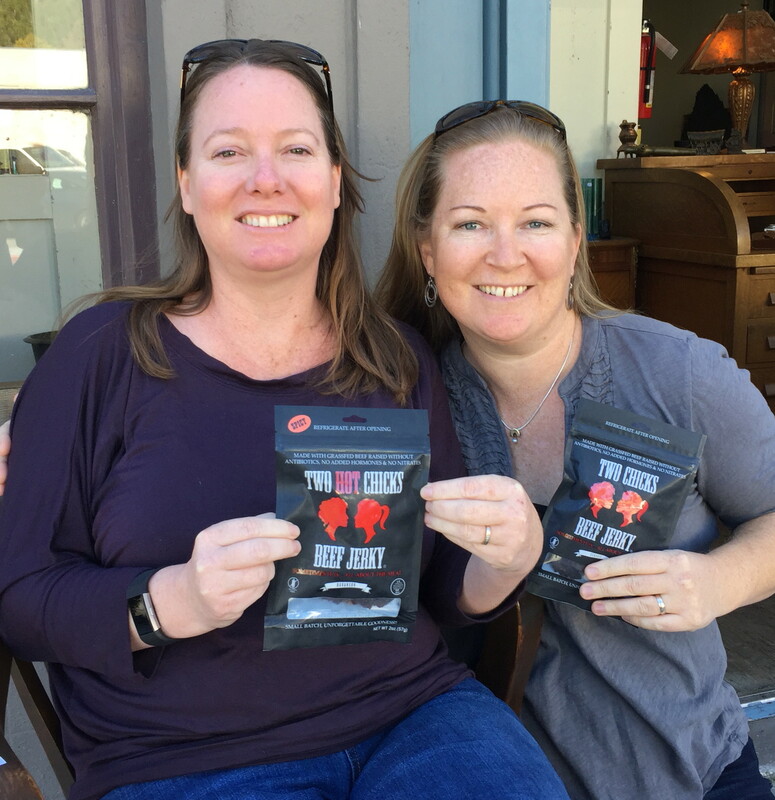 Great story, great jerky…….love ‘Two Chicks’! Thanks for reading Wendy! They are an inspiration and they really care about making a quality product. Great story. I look forward to trying some jerky soon. Their jerky is delicious Joan and you can find it at several local stores. Enjoy!